Cross your heart… and your katanas. 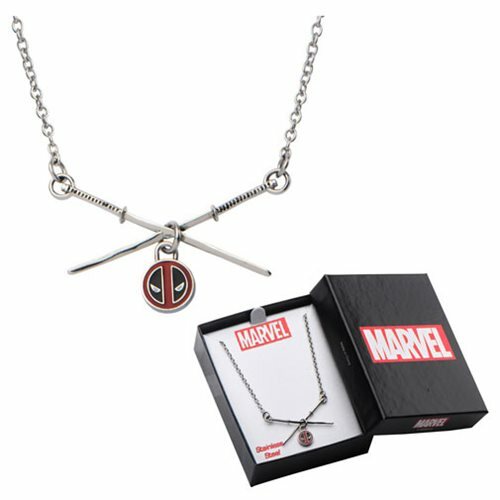 Get ready for an exciting night on the town with the Merc with a Mouth and this Deadpool Sword Logo Pendant Stainless Steel Necklace! Made of stainless steel, it measures about 1 1/3-inches and comes in a nice box. What a great gift for fans of Marvel's Deadpool!